I live near Lisbon, Portugal, in the south bank of Tagus River. 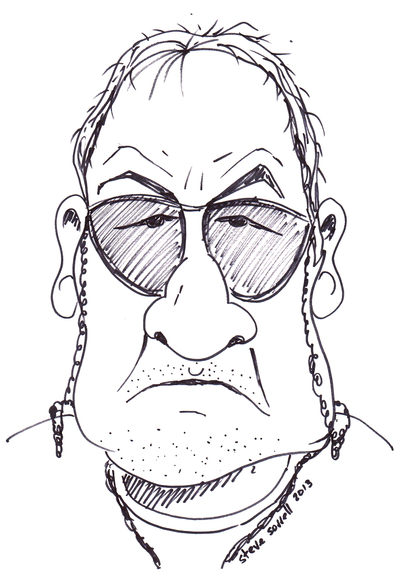 Such is not a good place for collecting minerals as all the best localities are relatively far. 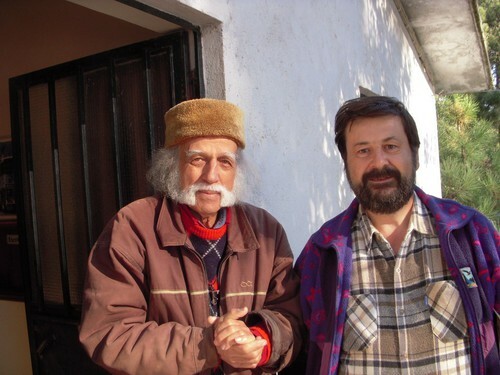 My main interest are Portuguese minerals and I have a special sympathy for phosphates. However, the feldspar group minerals are my favourites. Crystal twins and pseudomorphs are always welcome home. I'm strongly committed with the development of the Portuguese information here on Mindat, improving the administrative grid, adding new mineral occurences and reviewing the existing data. A careful attention is given to the new uploaded mineral photos. If I can help with something from Portugal I'd be glad to lend a hand. This page lists Rui's favourite minerals, localities and photos. All lists in alphabetical order. 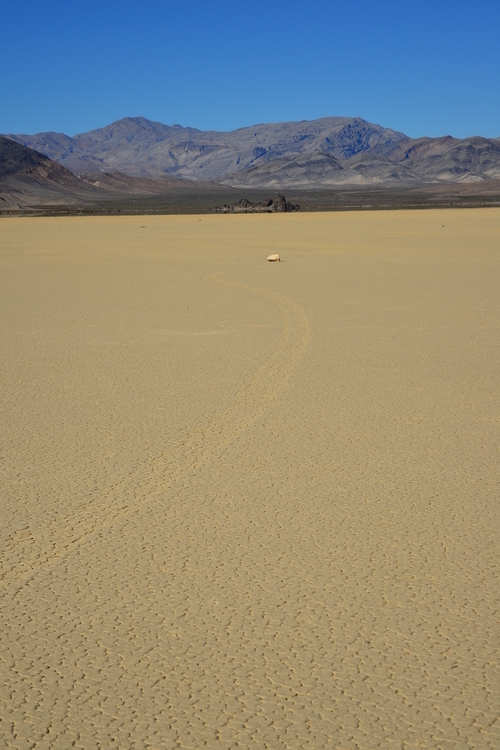 The rocks of the racetrack move when a thin layer of ice forms on water in the playa. Wind pushes this ice and the ice then pushes the rocks. In 1979, on the return trip from Skagway, Alaska we rode the train from Prince Rupert, British Columbia to Jasper, Alberta and then rented a car to drive south to the Columbia Icefield. I thought that some of you would find the attached photo interesting. 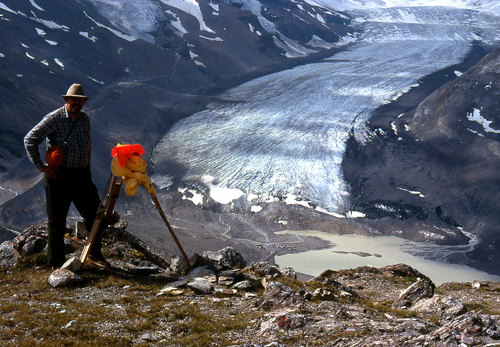 It shows the Athabaska Glacier from a neighboring peak. At the top we found this tripod cemented to the rocks. Evidently this is the place where the Canadian Geological Survey periodically takes a photo to add to the time lapse video of the receding glacier. One of the great japan law quartz twins the mine would occasionally produce. The Fazenda Pé da Serra Quartz mine was started or perhaps reopened would be a better term. This mine had its beginning during the Second World War when the USA came looking for piezoelectric grade quartz for radio oscillator chips. 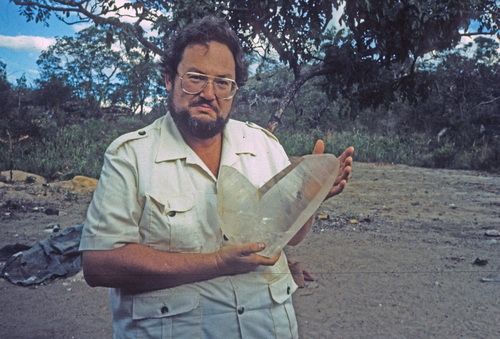 We hoped the mine would produce good hand held quartz points that were in demand by the metaphysical movement. Some people call them the healie feelie crowd. It was only modestly successful in providing those crystals, because it produced a lot of crystals not suitable for that purpose. But once in a while, perhaps once a year, the mine would cough up an incredible specimen of Japan law twin quartz. If we made any money at all on the mine it was because of the occasional Japan law twin that it produced. ... by Aljustrel's Miners Union Choral Group http://www.youtube.com/watch?v=MelcSAu0OSk Enjoy!